For those of you around the Omaha/Lincoln area, you can catch me tomorrow night speaking at the Omaha PowerShell User group where I will be talking about PowerShell runspaces and how you can use them for multithreading with your commands as well as demoing my module, PoshRSJob. There is still time to sign up if you want to hear it! Unfortunately, this will not be recorded as I will probably be walking around and that doesn’t bode too well for audio recordings. 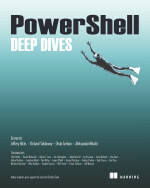 This entry was posted in powershell and tagged Omaha, opsug, Powershell, runspace, speaking. Bookmark the permalink.